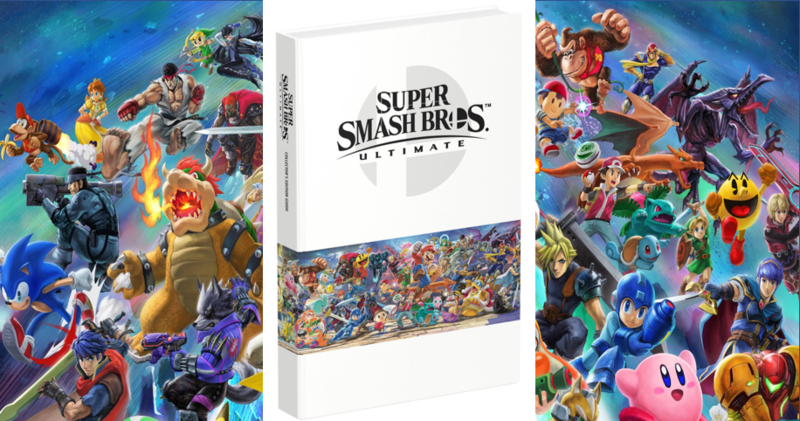 The popular strategy guide company, PRIMA Games, have created a special Collector’s Edition guide for Super Smash Bros. Ultimate. The guide covers all 67 base characters (sorry Pirhana Plant and Joker fans, you’ll have to figure it out on your own), detailing their move sets and basic strategies. The Collector’s Edition comes as a hardback, with the full character roster poster featured on the cover. It also includes a download code for the digital version of the guide, which can be accessed anywhere, anytime. Having broken the record for the best pre-ordered game, both on the Nintendo Switch and in the Super Smash Bros. series, Ultimate has already made a huge impact. Releasing only on Friday, it’s already the top selling game on Amazon, beating out the likes of Red Dead Redemption 2 and Spyro Trilogy Reignited. The Collector’s Edition guide costs $39.99 USD, while the standard guide costs $14.99 USD. You can find both on the PRIMA Game website here. With PRIMA Games set to close its doors in Spring next year, this could be the last major strategy guide we see from them. Will you be picking it up? How are you enjoying Ultimate so far (maybe you don’t need a strategy guide)? Let us know in the comments below!